Your smile can generate a subconscious, immediate, and visual impact on others. A brighter smile gives an impression of vitality, youthfulness, happiness, radiant health, and warmth. What other better way to enhance your smile than with teeth whitening! Tooth whitening refers to lightening teeth by removing stains and discoloration. It includes dental restoration of natural tooth shade. The procedure is not a one-time thing, it's done simultaneously to attain and maintain the brighter colour. It is a form of cosmetic dentistry and should, therefore, be performed by a dentist or an authorised dental professional. Dark-colored Drinks: Drinks like tea, coffee, and red wine are major culprits in staining your teeth. They have intense colour pigments called chromogens, which attach to the white outer surface of the teeth. Use of Tobacco: Tobacco contains two chemicals that can create stubborn stains (tar and nicotine). Tar is naturally dark, but nicotine is colourless, but when combined with oxygen, it turns yellow in colour thereby discolouring your teeth. Age: Under your enamel lies a softer area called dentin, which is yellow in colour. As you age, brushing makes the outer enamel thinner, thus exposing the yellowish dentin. Medications: Certain antipsychotics, antihistamines, and high-blood pressure medications can cause tooth darkening as a side effect. For instance, children who are exposed to antibiotics such as doxycycline and tetracycline during teeth formation might have stains on their adult teeth. Neck and head radiation and chemotherapy can also change your teeth's colour. Trauma: Your teeth might change colour if you have been directly hit to your mouth or jaw in an accident. This is because the teeth can react to the injury by laying down more dentin (the darker layer below the enamel). Also known as power whitening, laser whitening is a type of teeth whitening where a bleaching product is applied on your teeth. A light or laser is then shone on the teeth to initiate the whitening. This procedure takes about an hour. This procedure requires the dentist to take an impression of your teeth to make a mouth guard. The dentist will guide you on how to use it in conjunction with a bleaching gel. Using the mouth guard, you need to apply the gel regularly for a specified period. 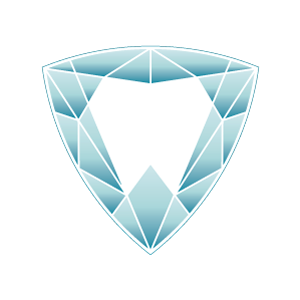 This type of teeth whitening typically takes two to four weeks. However, the dentist can recommend you leave the whitening gel for up to eight hours at a time to shorten the period to one week. 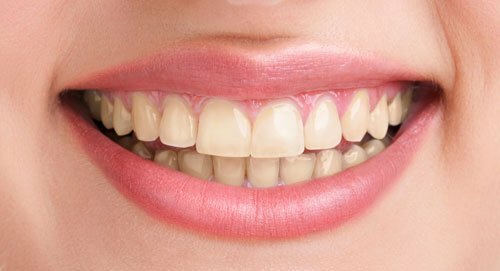 If you are unhappy with your stained or discolour teeth, then teeth whitening solution at Trilliant Dentistry, Milton, is the best option to brighten your smile. We will connect you to one of our best cosmetic dentists to discuss which whitening treatment is best for your case. Get your smile back today! Give us a call, or visit our offices for further inquiries!